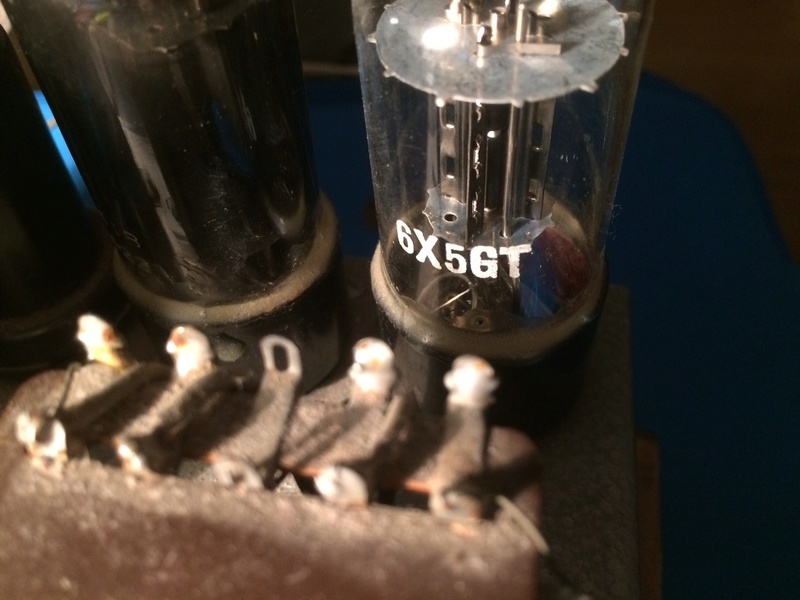 Well, Im new around here and I don't really know too much about old tube radios. 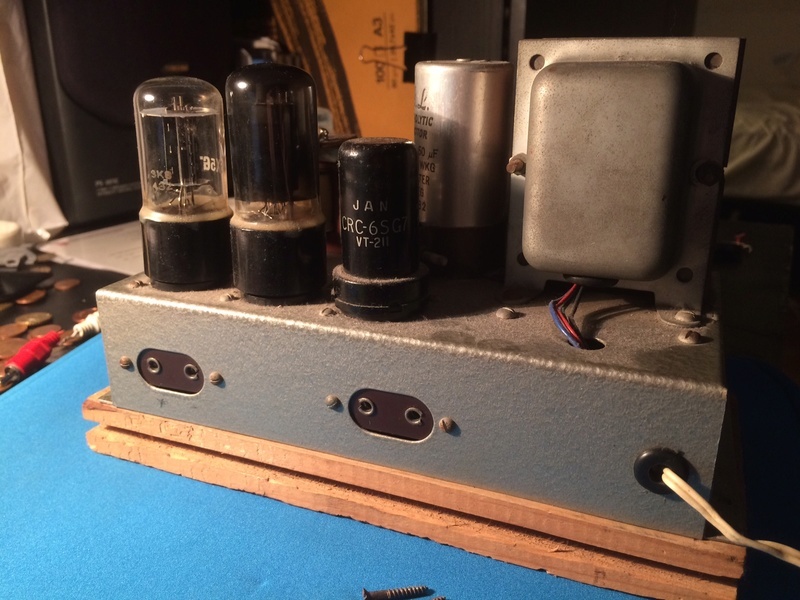 Looking over some old random stuff I found this old tube radio my grandad built/bought. I'm really interested in getting it up and running again. I've taken a few pictures of it, and I'd really like it if someone who knows a little more than me could go through them. 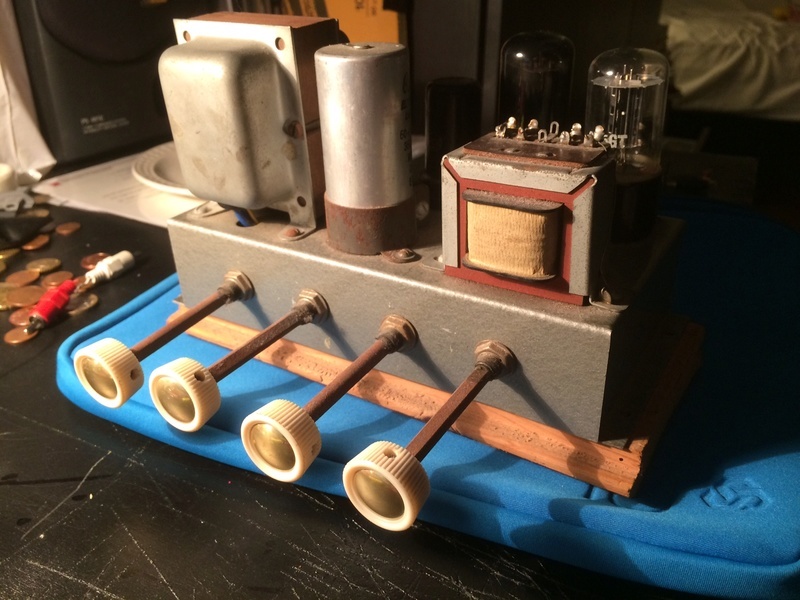 A quick search on google made me start to think this was an old tube radio. 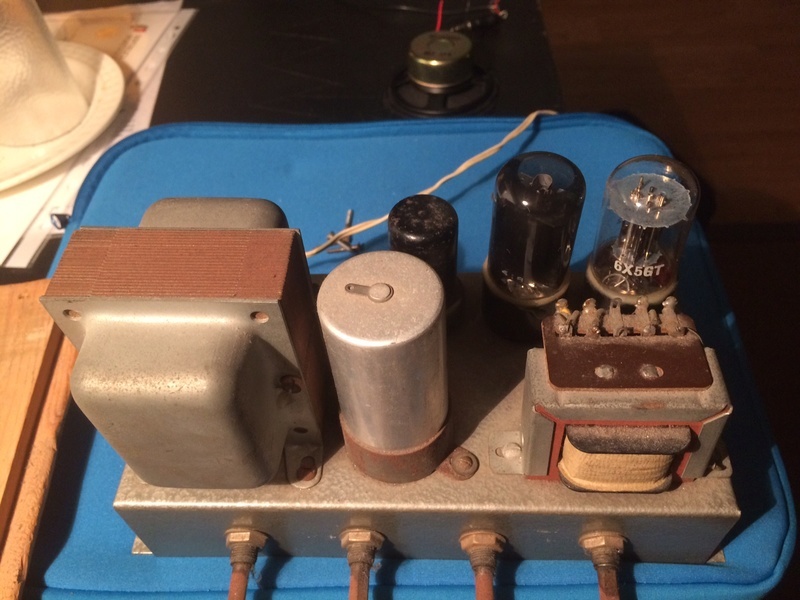 I've got a much more recent tube guitar amp, so I knew what a tube was before (duhh ) but the connectors (the same I saw on many pictures of old tube radios) on the back and the fact that this is definitely (MUCH) older than me got me really interested.. 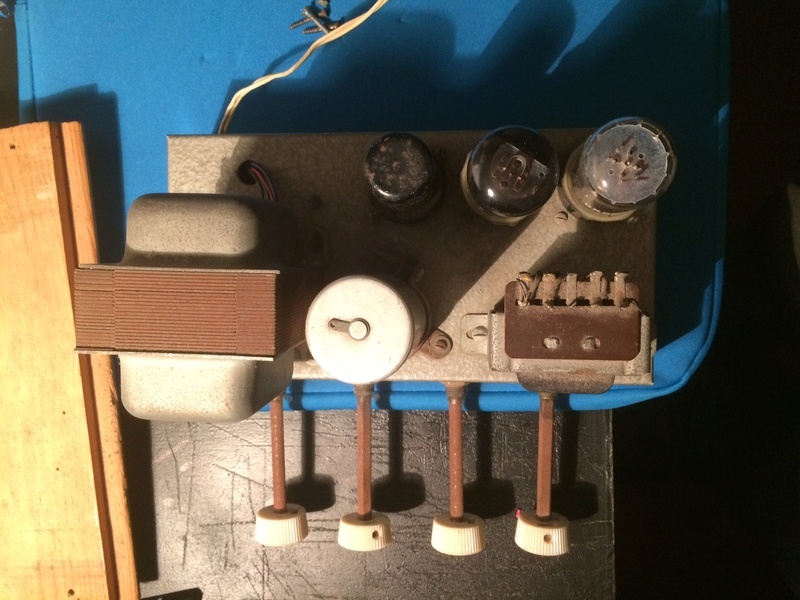 This looks homemade, the wiring is a bit of a mess, and soldering isn't the best, but I'd love to find out a little more about this radio... or amp! 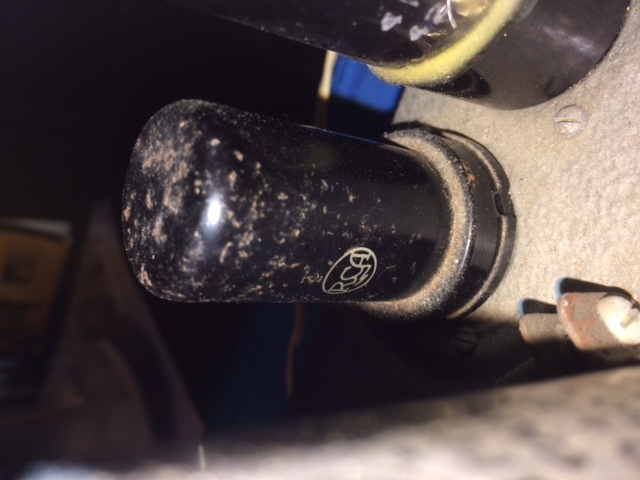 I've noticed a wire coming straight from the connector on the back to the volume pot which got me thinking that this could be something else! I haven't plugged anything into it. I've plugged it into the wall for a few seconds to try and see some light from the tubes, and that does seem to indicate some sort of life.. The power supply started to make a few noises, which went on for a few seconds after unplugging it. 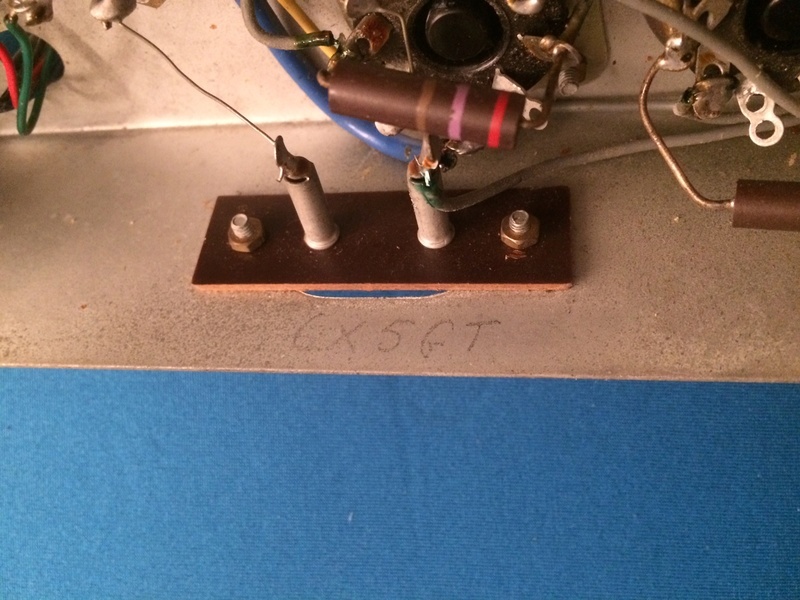 The metal casing was held on by four screws to a wooden board, and the supply of current you get from a wall plug here in Portugal is of about 230v AC. 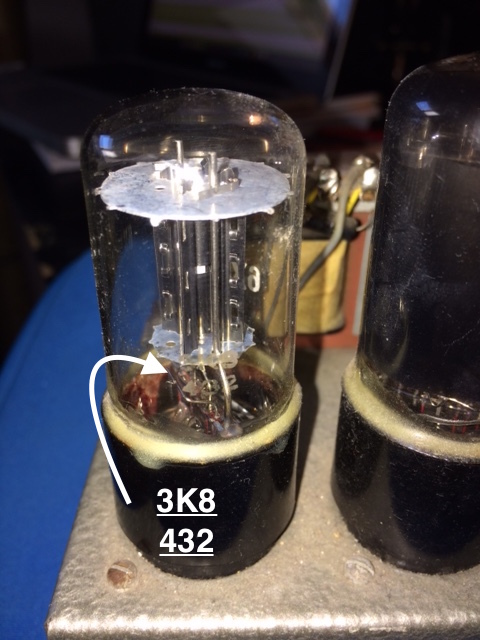 Not sure if that matters too much, but, again, nothing even remotely close to anyone who knows anything about tube radios/amps. Thank you so much for taking your time reading this and looking at my pictures! Hope y'all have a great day! 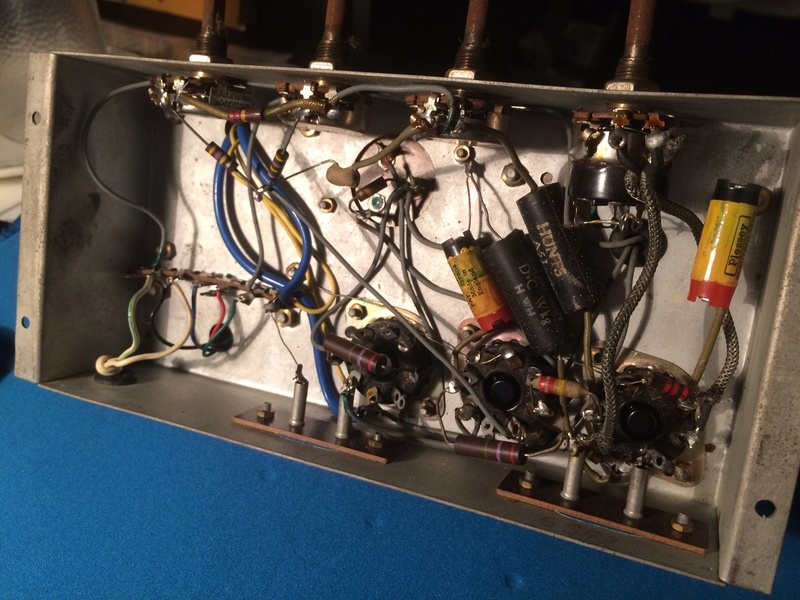 It is not a home made radio, not by the way everything is situated on the chassis. 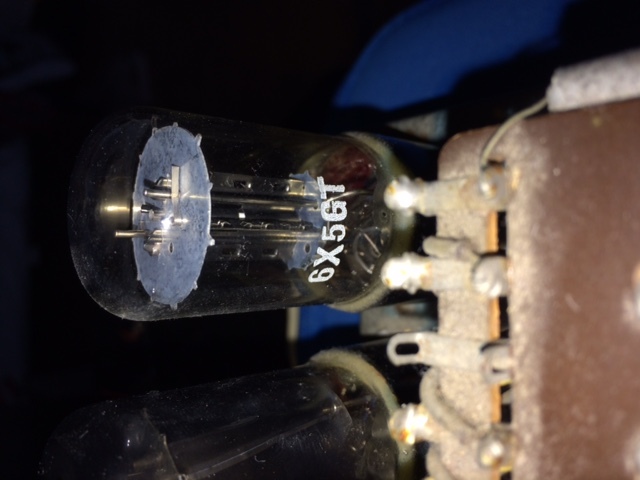 Zenith used a 6X5 tube as a rectifier [to change AC volts to DC volts]. 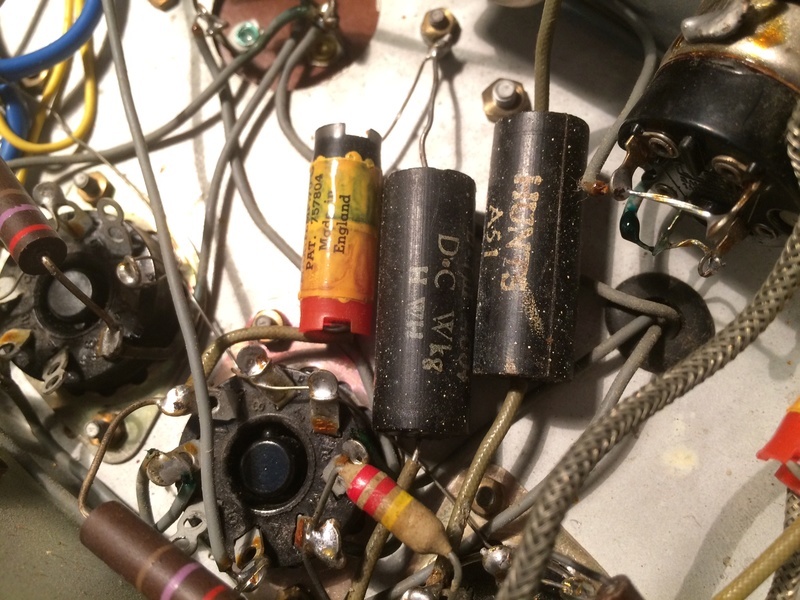 I also don't see any tuning capacitor so it look's like it is a amp buy the inputs in the photos. A view from the top would give a better indication. Looks to me to be a gutted Webster Chicago Three tube record player. 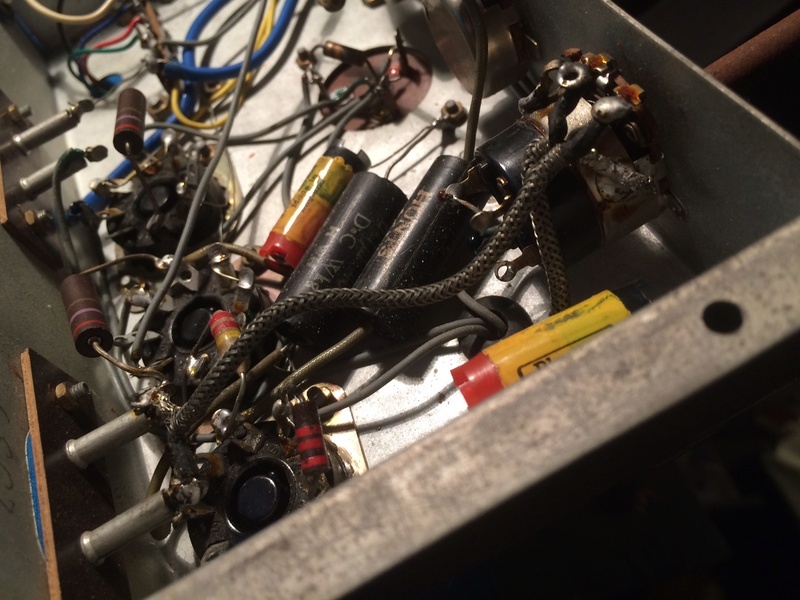 They've made a mess of it, and, I'd take the tubes, controls, the output transformer, and, junk the rest. I would never trust wiring that sloppy. Hope this helps.. It looks like they had their heart in the right place, though. Thank you so much for such a quick answer! Definitely lacking a few photos from the top and maybe a few other from the bottom, so here they are! I'd love to maybe find a way to fix this.. 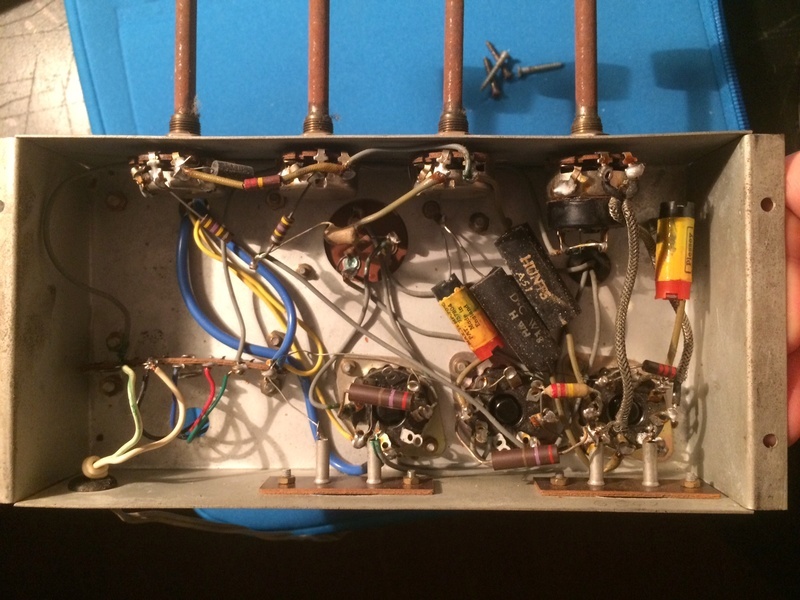 I know my way around soldering and wiring, just never gotten into a project like this one. Any suggestions? NO way would i junk that --looks like a very fun project to try to repair. and learning how these things work. I agree with the "don't junk it" opinion. It's not that complex and it wouldn't take much work to trace out the schematic and see what it really does. 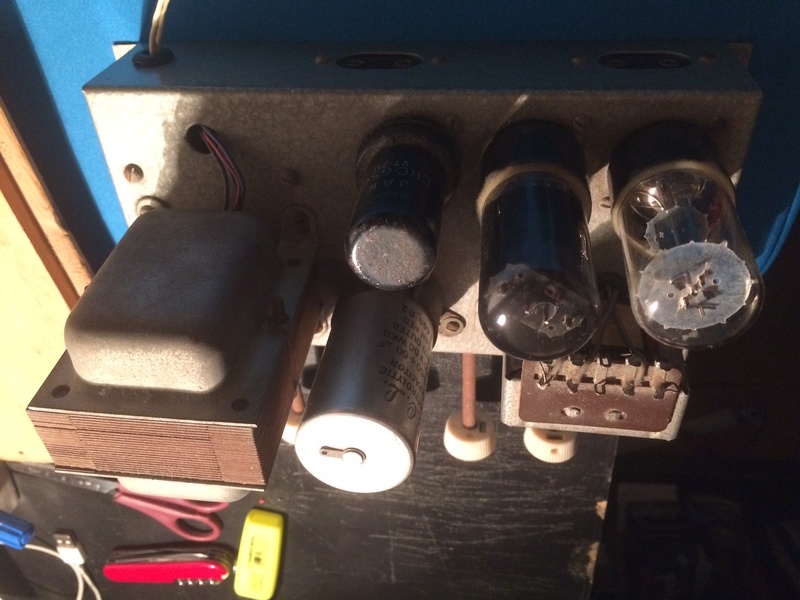 It might turn out to be a neat little amplifier project. One thing that I wonder about is the use of a 6SG7. 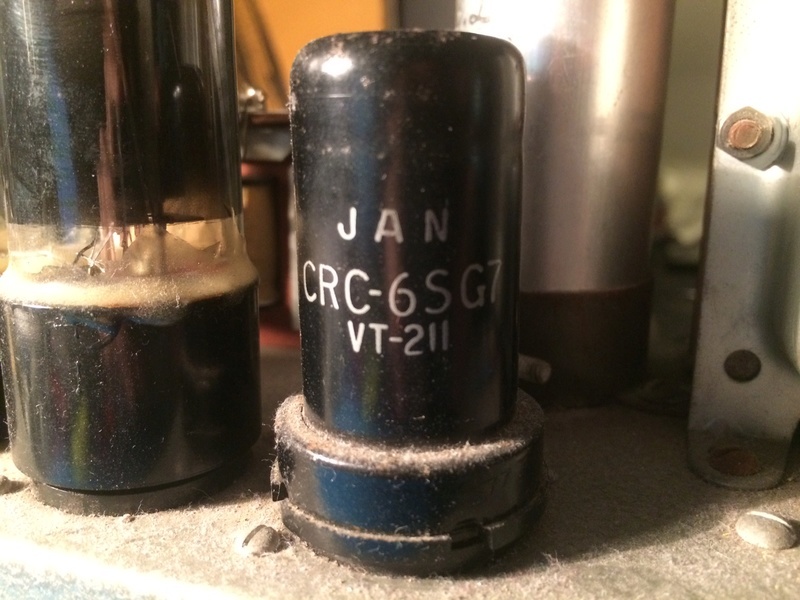 I have always thought of that tube as an RF tube. I wonder if someone stuffed it in there just to use ... and I wonder if the correct tube for that socket should be a 6SJ7? 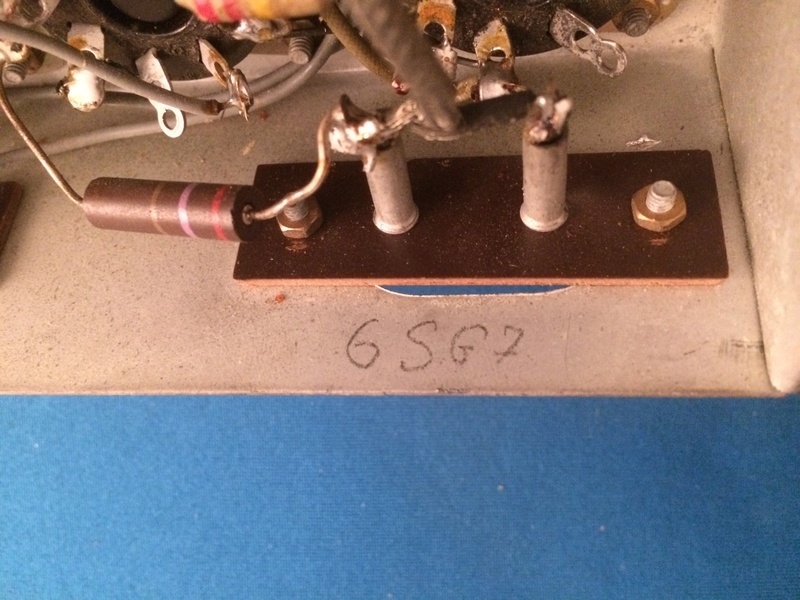 We know you have a 6X5 rectifier and a 6S?7 preamplifier. What is the third tube? It wouldn't happen to be a 6V6 would it? 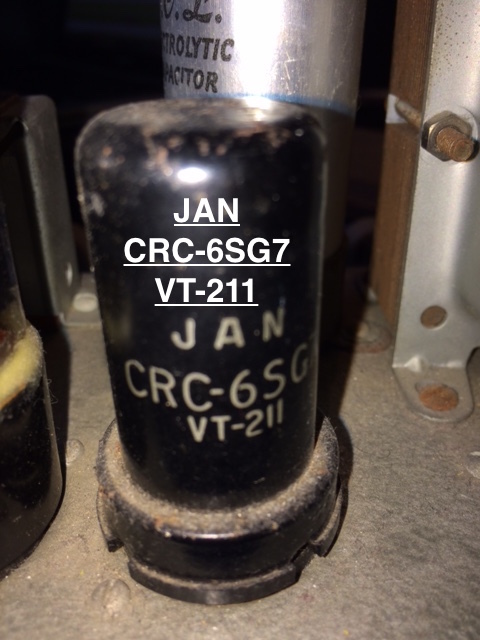 John Bartley wrote: It wouldn't happen to be a 6V6 would it? I hadn't noticed the text on the back of it, so here it is! Good photos. I have a couple of suggestions. Do the tubes light up? Does the metal tube feel warm? That's a good start. 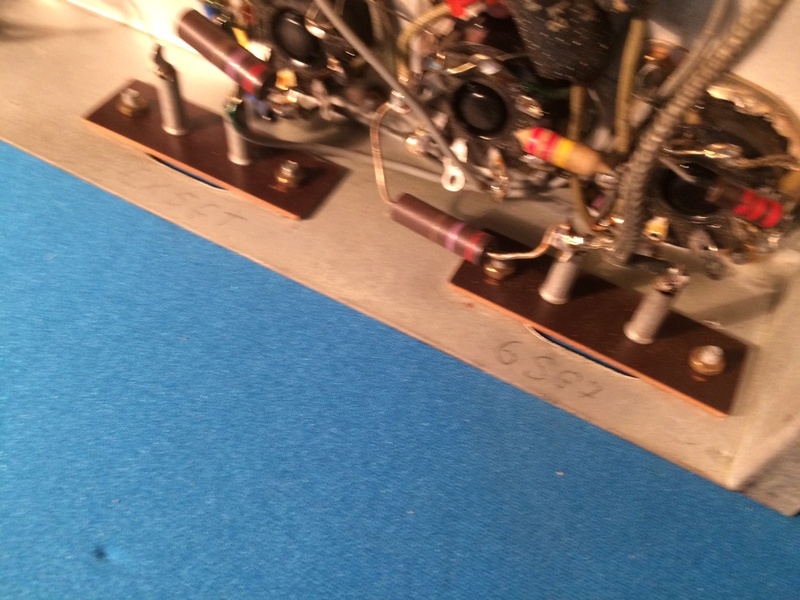 Next take a volt tester and test for voltage on the plates. The plate is usually pin 8. 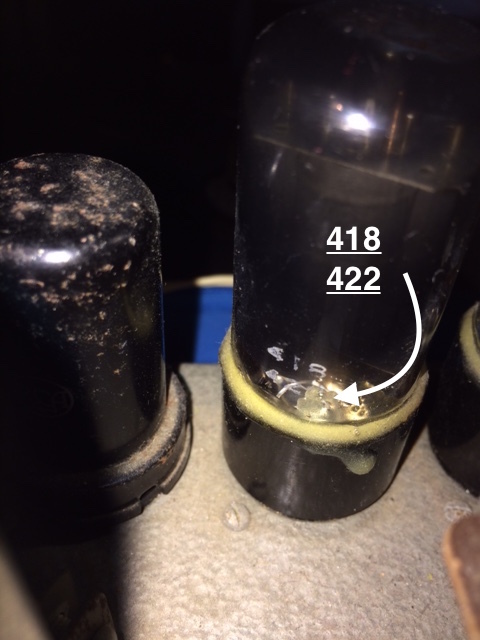 That voltage will come off of the rectifier tube. DO NOT arbitrarily start replacing stuff. 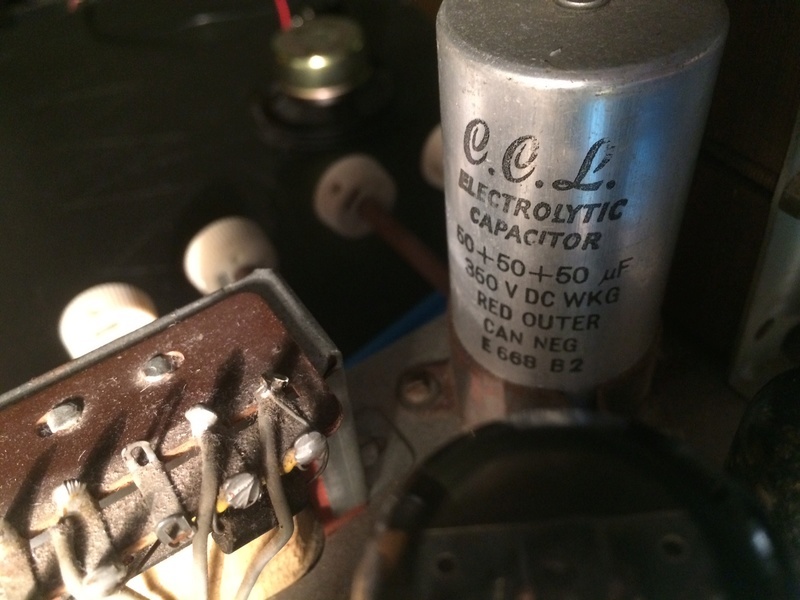 Maybe the electrolytic capacitors. Try to just get it working. 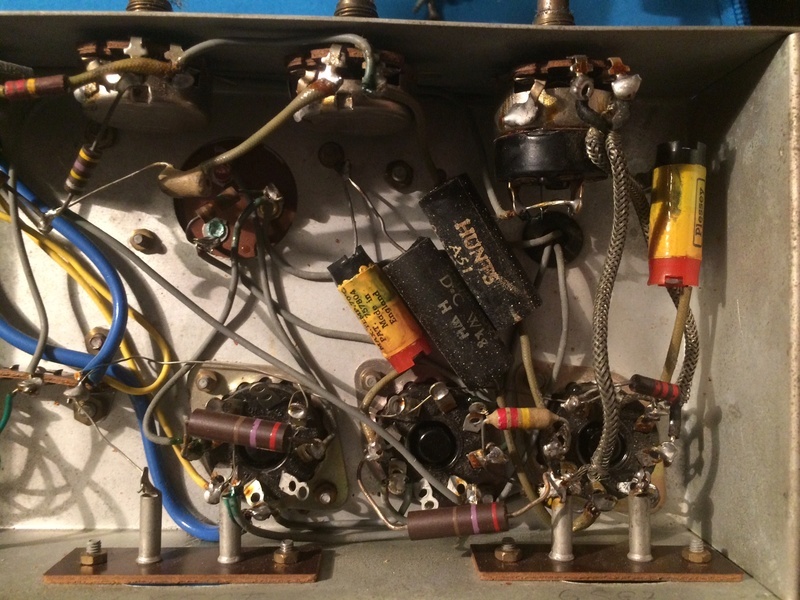 This is an amplifier, which really makes it simple. 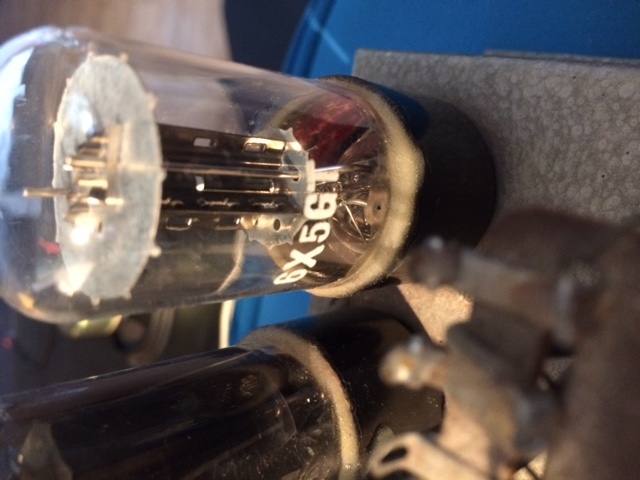 If it doesn't work I would suspect the 6SG7 tube. This is a good place to mention the benefits of a signal tracer and generator.